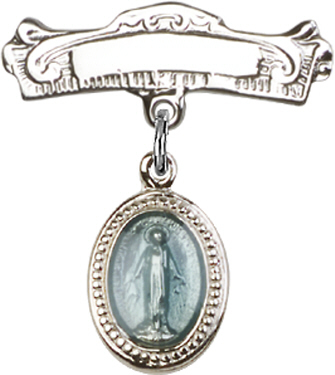 Sterling Silver Baby Badge with Bllue Miraculous Charm and Arched Polished Badge Pin - Engraveable. Makes the perfect New Baby gift and Baby Baptism gift. A special remembrance of that special day.